I'm thrilled to share my love for the written word and inspiration with fellow authors. As a creative writing teacher for twenty years and a writer for longer than that, I have a passion both for writing and facilitating the learning and inspiration process. Upcoming Classes for Spring 2019! *** Love flash fiction and flash nonfiction? My new craft book In a Flash is available now in print AND e-book formats. This Passing Fever, a collection of historical poems set in 1918, has just been published by FutureCycle Press. If you'd like a signed copy, I'd be happy to do so! Contact me first with your address at: writer@pa.net. For unsigned copies of This Passing Fever . If sweet Regency, a la Jane Austen, is your thing, have I got the book for you! 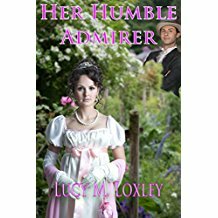 Check out: Her Humble Admirer , a pet project under my pen name. You can find my Prompt Cards, Affirmation Cards, and other wares on my Etsy Store, "WritePath Productions"
Want a motivating Freelance Writing Study or Critique? Need help writing your artist statement, cover letters/submission materials, or organizing or editing a poem, short story, visual art collection, essay, or book? Care to creatively brainstorm your project or publication goals and set up a do-able plan with an author who's been there? Interested in cover art or website imagery for your latest project? My photos have appeared on magazine and book covers.